Last Share Pickups are Next Week, the week of Oct. 19th. 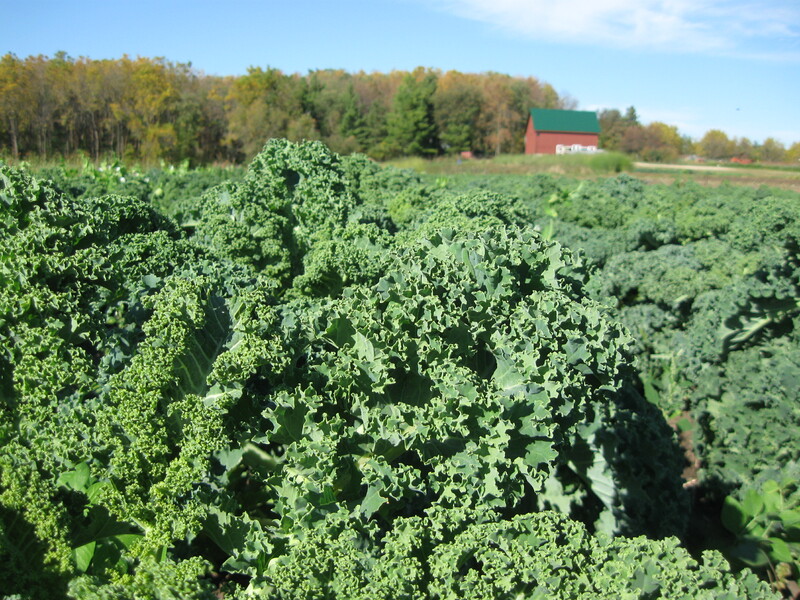 You will be picking up two weeks’ worth, a “double share.” Lettuce, Spinach and Kale will be open for U-pick after that week. The summer without a sandbox. The fall without a killing frost (so far at least.) The year we built the root cellar, with the skilled help of our crew, friends and family, showing up at just the right times. The June we threw the most awesome and heartwarming party we’ve ever had, complete with rock stars, brewmasters, puppetmasters, and cheesemasters. The year it rained just enough to keep irrigation to a minimum but not so much to flood fields or make crops rot. The summer Allia and her friend Zoe designed a fish CSA for cats, hours at a time — they’re excited to refine it and roll it out. The September our friend and neighbor John Saurer spent hours and hours with Ben getting the carrot harvester to work, despite setback after setback, and the total joy and simplicity of watching that thing work in its methodical and steady way. The year the great-horned owls, in all their majesty, hooted and screeched through the woods and ate half our chickens. The 3rd year in a row of warm and bountiful falls, for good eating for this farm’s community and lovely sunny days together. However you remember the 2015 growing season, related to this farm and not, we hope it’s with as much warmth and peace that we remember it. Buying a share in the harvest each year helps keep the farm afloat, providing steady cash flow so we can buy the stuff, pay the people and do the work that altogether brings so much healthy food to so many people. And many people have told us over the years how everybody coming and going here is smiling, content, and not angry or in a big hurry — seeing your smiles and enjoyment of this land, food and community, year after year, feeds us in a way even all these great veggies can’t. So thank you for a great season! We’ll keep doing our best to bring you a great harvest this fall and winter, and we look forward to doing it again for you next year! Remember that the last week of share pickups this year is the week of October 19th — there are just two weeks of pickups left now. (We’re surprised it’s already here.) The week of the 19th you’ll be picking up a double share. For more info on why we’re trying this out, see “farm news” in the previous newsletter. We really appreciate you trying the double share experiment this year. It has the potential to make our falls much easier. Please let us know how it goes! You may want to start making room in your fridge this week — it’s a good chance to clean out unused sauces, jars, and the other who-knows-whats taking up space in there! As part of trying to make the double share work for you, Lettuce, Spinach and Kale will be open for U-pick starting Friday, October 23rd. Lettuce will be open for about a week, spinach and kale for 2-4 weeks. We’ll provide more details and keep you posted via email. Even though it has felt like summer, it is time to eat like it’s mid-fall. This week we’ll start with sweet potatoes, parsnips, daikon radishes, purple top turnips, white salad turnips, and hopefully purple carrots. Next week we’ll pick the brussels sprouts for you, though unfortunately the flavor might not be fully developed in the warm weather. Winter squash — These two weeks we’ll have a full selection of every kind we grow (except spaghetti squash.) There might only be some small buttercups and ambercups left, as they didn’t size up very well. Remember the bigger ones generally store better, so eat the smaller ones first. And eat the ones with spots or unusual markings first too — they’re just as good but won’t keep as well as blemish-free ones. We tried a new gourd mix this year, and it didn’t work very well. The few gourds we got only add up to enough for 1 per share; we’ll certainly aim higher again next year. Sweet potatoes — As usual we’ll have some dirty ones available, as they’ll store better for you when we don’t wash them. The clean ones should easily keep 2-3 weeks. Tomatoes finally petered out. We wish we could keep them healthy long enough to take full advantage of this warmth, but the plants are so dead and the fruits blemished and rotting from a handful of types of bacteria and fungi, there just wasn’t more food out there. Peppers — You may have noticed they’ve gotten smaller and not as many reds. Those plants are healthy, but just don’t have much fruit left on them. These are from the late generations of flowers. Cabbage we may be running out of — there are plants out there but they’re not making heads very well. Broccoli is pretty much done, but Cauliflower keeps cranking out nice heads. And all else looks good — spinach, kale, collard greens, carrots, beets, celeriac, watermelon radishes, leeks, a few eggplant, onions, swiss chard, and lettuce and greens. If it gets cold we’ll have fewer types of greens, and they’ll be a little beat up. But for now they’re looking great. Raspberries and Tomatillos are still open for gleaning, but there isn’t much left on the plants. Flowers will keep going until frost. The remaining herbs are pretty cold-hardy and should be around for a while. Remember to sign up for next year! Deposit or full payment by Oct 23rd saves your spot. Remember to sign up for the November Storage Share! Feel free to ask us any questions. We have plenty of spaces left, please tell friends or family if you think they may be interested. This week’s selection is : Spinach for $4 / lb, Lettuce Mix for $5 / lb, Butternut Squash (and maybe other squashes) for 75 cents / lb, Carrots, Beets and Celeriac for $1 / lb, Kale and Swiss Chard for $3.50 / lb, Garlic for $1 / head (no advance notice needed for garlic.) Feel free to ask about any other crop too. Cook the soba noodles according to package directions. Drain and set aside. In a small bowl whisk together the garlic, ginger, sambal, tamari, and vegetable broth. Set aside. While noodles are cooking, heat a large skillet with the 2 Tablespoons of sesame oil over medium-high heat. Add the leeks and saute for 5 to 7 minutes until soft. Add the sauce, spinach, and black beans and continue cooking until the spinach is wilted. Add the noodles, toss together and serve hot. Measure and mix 2 ¾ cups of flour, 1/3 cup of sugar, 1 tbsp of baking powder, and ¾ tsp of salt, ¾ tsp of cinnamon, and ¼ tsp each of ginger, nutmeg and allspice in a big bowl. Cut one stick (½ cup) of cold butter into small pieces. Work the pieces into the flour mixture until it has an even texture. OPTIONAL: Add 1/2 cup of tiny pieces of crystallized ginger or cinnamon chips. Whisk together 2/3 cup of pumpkin (cooked, pureed) and 2 large eggs. Add most of the wet mixture to the dry mixture. Fold/knead ingredients together until the dough forms one big ball. Press the ball into a circle or a strip that is about 1 inch thick. Brush with the remaining egg mixture. Sprinkle with sugar and cinnamon. Cut into 6-12 wedges or triangles (depending on desired size). Spread the scones out on a baking sheet (on parchment paper! ), and bake at 400° for 12-14 minutes, or until cooked through and golden.